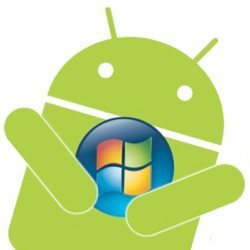 Microsoft has prevailed over Motorola in one of their ongoing patent disputes after the US International Trade Commission (ITC) ruled (PDF) that the phone maker has violated one of the Redmond-based software giant's patents, and ordered an immediate import ban on the infringing Android phones. The case dates back to October 2010, when Microsoft sued Motorola for infringing on nine patents, ranging from sending and receiving emails, managing calendars and contacts to managing a phone's memory. The ITC's decision centers around the usage of a single remaining patent for "generating meeting requests and group scheduling from a mobile device," which according to Microsoft, the phone maker has failed to correctly license. "Microsoft sued Motorola in the ITC only after Motorola chose to refuse Microsoft's efforts to renew a patent license for well over a year," David Howard, Microsoft's corporate vice president and deputy general counsel, said in a statement. "We're pleased the full Commission agreed that Motorola has infringed Microsoft's intellectual property, and we hope that now Motorola will be willing to join the vast majority of Android device makers selling phones in the U.S. by taking a license to our patents." As a result of the ITC's decision, Motorola will be forced to modify the infringing software on their Android handsets, or face a ban on US sales. However, the decision is still subject to a 60-day presidential review during which Motorola is required to post a bond of 33 cent "per device entered for consumption." "Microsoft started its ITC investigation asserting nine patents against Motorola Mobility," a spokesperson said in a statement to ZDNet. "Although we are disappointed by the Commission's ruling that certain Motorola Mobility products violated one patent, we look forward to reading the full opinion to understand its reasoning. We will explore all options including appeal." Motorola remains the only handset manufacturer shipping Google's Android mobile OS on smartphones without a licensing agreement with Microsoft. The software giant has actively pursued every major phone maker shipping devices with Android for infringing its patents and has scored multiple licensing agreements.